As 2018 comes to a close, the PTG Lab is excited to share that three lab members have been awarded the Provost Research Award! Congratulations to Whitney and Jess for being awarded the Provost Graduate Student Research Award and to Velinka for being awarded the Provost Undergraduate Research Award! In order to be considered for the award, students are required to develop a detailed research proposal and submit it to OU’s Research Office by early October. The awards reflect considerable support for the hard work put into each of the studies. Whitney plans to travel to Hawaii next summer to continue collecting data for her doctoral dissertation titled The Impact of Recreational Wild Dolphin Interactions on Children’s Empathy, Emotion Regulation, Perceived Social Support, and Knowledge of Dolphin Welfare. Jess will continue to work on her master’s thesis titled Redefining Negative Personality Traits and Coping Techniques After Impacts of Stress and Trauma. Velinka will continue to recruit participants and collect data for her senior’s thesis project titled Youth Perceptions of Intergenerational Discordance and Immigrant Well-being. Good luck to Whitney, Jess, and Velinka as they continue to make strides with their studies! The PTG Lab is thrilled to close out another productive year! 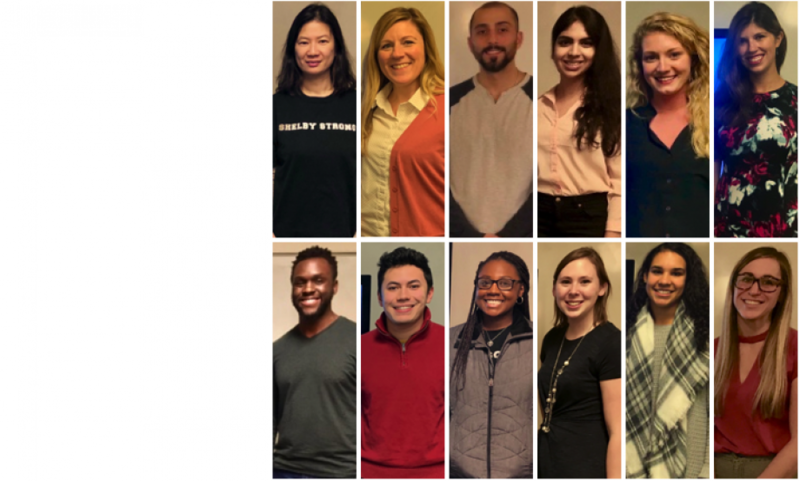 As we look toward 2019, we are excited to welcome an incoming new research assistant beginning in the Winter semester and look forward to many research ventures as lab members share their projects at national conferences, develop new research studies, and much more! Second year Master’s student Alvin recently presented an update of his research study in preparation for his master’s thesis defense in the 2019 Winter semester. Alvin’s research study is aimed at examining the impact of achievement and resiliency on the relationship between failure experiences and positive and negative outcomes. Through prior literature review, he found that the effects of failure and achievement have not been examined in tandem. He suggests that doing so will provide valuable insight into the unique combined positive and negative effects of a wide range of life experiences. Additionally, Alvin suggests that taking one’s resiliency into account is important when examining the effects of life experiences because, not only can it temper the effect of particular outcomes such as fear of more failure, but it may also affect the degree to which one experiences personal growth or wisdom. As Alvin moves forward with further analyses, we look forward to seeing what he finds. Great job and good luck, Alvin!